​Welcome to Ten Oaks Ltd – manufacturer of pet housing which includes bird aviaries, dog kennels and runs, and cat pens amongst many other custom-made animal enclosure designs. With over 15 years in outdoor animal housing design and construction, Ten Oaks Ltd are proud to present a portfolio of designs ready for manufacture, and expert industry designers that can create your perfect outdoor animal housing from scratch and to your exact specification. We also offer an experienced construction and installation team which will fit your animal enclosure with the highest quality in mind. ​Whether you’re looking for a cat enclosure at your home, or as part of commercial cat pen or cattery, Ten Oaks Ltd is here to help. Providing the freedom of outside, with the safety of indoors, our cat enclosures, pens and catteries are a warm and pleasant environment for cats to play in, enjoy the fresh air and ideal for introducing kittens into the outside world. Find out more details on our cat enclosures here. 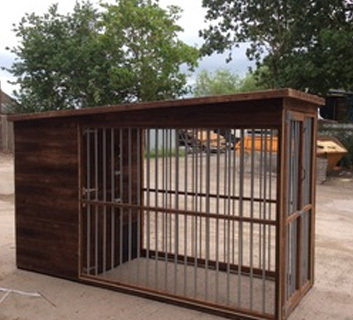 ​Ten Oaks Ltd is the leading manufacturer of dog enclosures, kennels and runs. With a wide portfolio of designs to choose from, and an expert in-house designer to create even the most bespoke layouts or plans, we are confident that we will find the right dog enclosure solution for your domestic or commercial needs. Find out more details on our dog enclosures here. 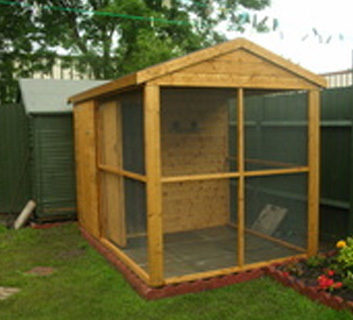 Ten Oaks provides a variety of bespoke bird enclosures to suit your domestic or commercial needs. 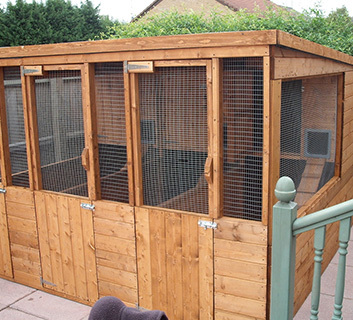 Our range of domestic bird enclosures includes breeding cages, chicken coops and bird aviaries for sale. We also offer commercial bird enclosures which includes commercial chicken coops, poultry farming housing, and commercial bird aviaries. Find out more details on our bird enclosures here.